Congratulations! You’ve created a Twitter account. You have a great photo icon, a witty handle, and a link to your website. You’ve started gaining followers because you’ve been Tweeting about anything and everything–you may have even begun to track hashtags that intrigue you. Say you’ve really taken to Twitter by now. You want to have a conversation about something you’re passionate about. You want to learn more about a topic or industry, and desire to connect with influencers and professionals. So what’s next? Whatever you’re into, from biking to parenting to job searches–yes, there’s a Twitter chat for that. Twitter chats (also called Tweet chats) are scheduled discussions on Twitter that utilize a shared hashtag. Anyone can participate by using the hashtag, and can have conversations in real time. These chats have become popular with job seekers and professionals as a quick and accessible medium to network in. It’s a great way to further extend a network by connecting with industry experts and familiarizing one’s self with fellow enthusiasts. Finding relevant Tweet chats can be done through Google or Twitter. One of my favorites is Mack Collier’s #Blogchat, which is held Sunday nights at 8pm Central, 9pm Eastern. This chat was established in 2009, and each session begins with a general topic the discussion centers around. This chat encourages collaborative conversation–some Tweet chats have strict rules, but this one is more free-form. With frequent guests as co-hosts, #Blogchat is one of the most popular chats on Twitter. I’m also a fan of #MMchat from Jeff Ashcroft of The Social CMO. 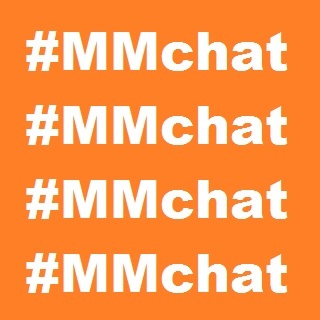 I love hearing from people at the top of their game, and #MMchat specializes in including leaders and executives of all kinds of social media and marketing agencies. This chat is on Mondays on 8pm Eastern. Previous #MMchat topics have included talks about the art of emerging brands, launching businesses, and the anthropology of social networks. For a broad list of chats, there’s the Gnosis Arts Tweetchat Wiki. It’s a comprehensive list of all kinds of chats, but because the effectiveness of chats rely on a consistent user schedule, any collection of Tweetchats may be apt to change. Thanks for including our Tweetchat wiki pages in your article!